Malachi's life is dull, dull, dull. Dad's always busy and school is dreary, especially science. Then Malachi finds a mysterious bottle on the seashore, and things start to get exciting. What he discovers inside the bottle sends Malachi on the journey of his life. But pirates, smugglers, police and a grumpy pig soon have Malachi regretting his thirst for adventure. There are battles to be won, and the only one who can fight them is Malachi. Can he save himself and the bottle? 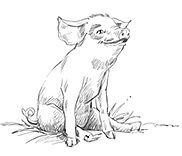 And what about the pig? Winner Storylines Notable Book Award 2016. 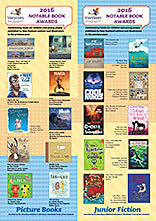 Shortlisted New Zealand Children’s Book Awards, junior fiction category, 2016. Shortlisted 2013 Kobo/NZ Authors E-Publishing Prize. 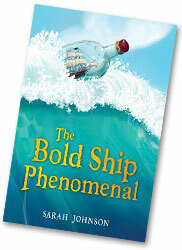 The Bold Ship Phenomenal is a story that has been with me a long time. A very long time! In fact, some of the characters and objects that feature in the book have been trailing around after me ever since my childhood. When I was young, I liked to collect things. I still do. I feel comfortable when I'm surrounded by interesting clutter. One of the things I collected was bottles. I loved their various shapes and colours, and the way the really old ones sometimes had fragments – of sand, of grit, of air – trapped in the glass. To me there were whole worlds inside those bottles. Past worlds and fantasy worlds and possible worlds. Traces of people and places that had stories to tell me. One of these very special bottles has made its way into The Bold Ship Phenomenal. You could say it's the main character. It wouldn't leave me alone until I write a book about it. I'm glad I did. This story is very special to me. It's about pirates and snails and a pig and boats and trucks and trees, but it's also about some of the things I think are really important in life. Like being brave enough to take risks and have adventures. And being able to see the world in your own way; even when that's not how everyone else sees it. It's also about how magic and wonder are all around us, secreted away in the everyday things that we use – like bottles. In New Zealand, magic and wonder are also there in abundance in the fabulous places that surround us – like beaches, and mountains, and forests. To find them, we just need to open our eyes and see. We just need to know how to look. Read the first three chapters of The Bold Ship Phenomenal, in PDF format. "The Bold Ship Phenomenal, due out later this year, made me cry as I edited it. It's not a sad book though – the make-you-cry bit is just a small part. 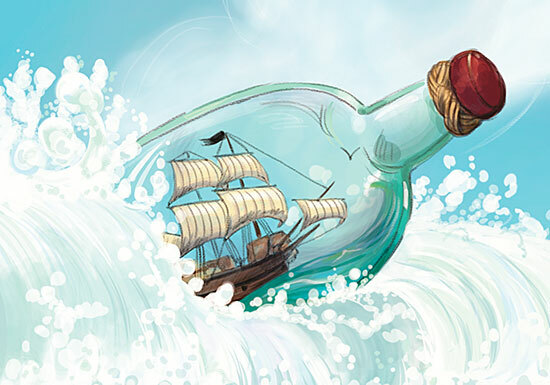 The rest is a page-turning adventure with a ship in a bottle as its star, and a strong nature theme. It's classically New Zealand, but everyone, everywhere will love it. Take my word for it!" Published by Flat Bed Press (2015). Available in print, e-pub and Kindle versions. The Bold Ship Phenomenal sales and trade information download the PDF. 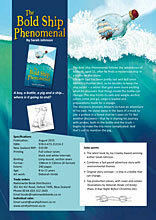 Or ask Books for Kids in Hamilton, New Zealand, to send you a copy: phone +64-7-856 8274.